throughout the New Orleans area. 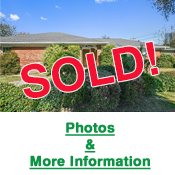 Green Fields Real Estate specializes in personal service tailored to your individual needs. 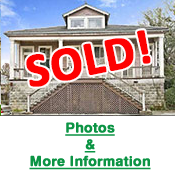 Let a Green Fields agent help you find the right property for you! 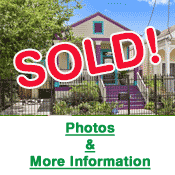 of properties for sale throughout the New Orleans area. One bedroom, ground floor condo located in historic 1835 Greek Revival side hall townhome with sun room opening onto pool and patio area. Marble mantel, wood floors, high ceiling and ornate frieze complete this quintessential French Quarter bedroom. The view through the Plantation blinds of the living/sun room brings you to another place and time. Enjoy the courtyard ambiance! Cocktails and al fresco dining just outside your door! It can all be yours! Many Positives with this home. Windows are double pane, tilt out. Roof, Gutters, and Exterior Paint done in 2017. Deck built and SS Dishwasher in 2018. Washer / Gas Dryer replaced in 2019. Central AC Compressor replaced in 2012. Lusher Schools District. 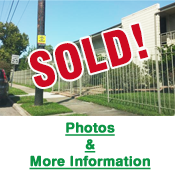 Buyers must have proof of funds and/or pre qualification letter to schedule appointment. Approximate Total Living	Area: 1,209 sq. ft. Feels more like a home than a condo! 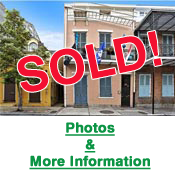 Quintessential French Quarter/New Orleans living, double parlors, pocket doors, beautiful wood mantels & transoms throughout, cent a/h, high ceilings, real wood floors, lots of closets/storage to boot! A perfect home for entertaining with a large eat-in kitchen and pantry, SS appliance pkg with gourmet gas range/oven, French Door style frig/freezer, dishwasher, deep sink & quartz counter tops. Peek through the garden gate to a petite private courtyard calling you home. Adorable 1 bedroom condo located at the corner of Henry Clay and Magazine Street. 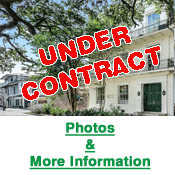 Short walk to Audubon Park, shopping and restaurants! Updated kitchen with built in dishwasher, refrigerator/freezer and electric range/oven. Other amenities include wood floors and central air/heat. Pool and coin-op laundry on premises. Great investment or starter home. 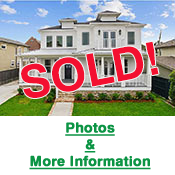 This Single-Family Home is located at 413 S Jefferson Davis Pkwy, New Orleans, LA is currently for sale and has been listed on Trulia for 108 days. This property is listed for $299,500. 413 S Jefferson Davis Pkwy4 beds, 2 baths and approximately 1,660 square feet. 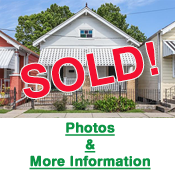 The price per square foot is $180. Remodeling Finished. Beautiful Kitchen with Cherry Cabinets and Fantastic Stone Counters. Ceiling Fans Throughout. Living Room Cathedral Ceiling and Corner Gas Fireplace. Large fenced Lot 60'x120'. Large Master Bath with Double Vanity, Jacuzzi style Tub and separate Walk in Shower and commode. Large breakfast area and formal Dining. 5th Bedroom or game room. This assigned, off street PARKING SPACE comes with a cute one bedroom condo, overlooking the corner of Henry Clay Ave. and Magazine Street. A little cosmetic TLC would go a long way to add to the parquet wood floors and central a/h already there. Other amenities include coin-op laundry and a POOL!!! Walk to trendy shops, restaurants and the park. Many possibilities, great for owner occupy or as an investment. Must see this one! I love this house! You will, too. Spacious home sits beautifully on corner lot. 3 bedrooms/2 baths, open living rm, dining rm with wet bar and kitchen with granite counter tops, interior laundry room, bonus room with private patio, garage is an extension of this unique home's entertainment features. No carpet, interior/exterior storage and many features too numerous to mention. Front entrance has standard half-circle drive and other driveway and garage accessed from N. Arnoult side of property. Finish this restoration! Lots of architectural details remain. Barge board & plaster walls, French doors & shutters, double parlors & archways, carved wood mantel. 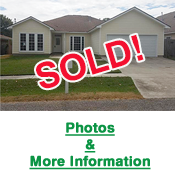 Sit on the covered front porch and chat with neighbors, sip coffee on side porch while reading the paper or catch a breeze off the back porch as you head out to the big backyard/patio for a crawfish boil or Bar-B-Q. This house was designed for New Orleans living and entertaining! 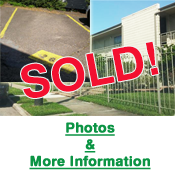 1 1/2 blks from St Claude, restaurants & coffee shops. Adorable single family, 3bdrm/2 bath house near new medical corridor. This recently constructed, 3 yr old, home features an open concept floor plan, cent a/h, wood flrs, high ceilings & full size w/d. Other amenities include, security system, SS appliances, granite counter tops, cherry cabinets, built-in wine rack & pantry. Additional features include transom style doorways, filtering lots of natural light thru out the house, inviting front porch & tree shaded back deck & patio + off street parking. 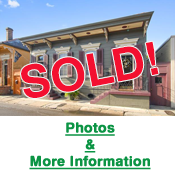 Fantastic Victorian double located in the heart of the French Quarter! This historic camel back boast two, 2 bedroom units, each with wood floors, central a/h, w/d, dishwashers, stoves and refrigerators. Large owners unit is 2 story with 10' x 24' master bedroom with walk-in closet. The spacious courtyard completes this French Quarter lifestyle. Renovate and update to suite your taste. Live in one side, rent the other or convert to large single. Requires 24-48 hrs notice. Please do not disturb residents. Beautiful southern charm, spacious 4 bedroom, 3 full bath and 2 half baths in Lakewood North. Entertaining will be a delight with gourmet kitchen, high end stainless steel appliance package and beautiful large walk in pantry. Cozy den with soaring ceilings, gas fireplace and custom shelves. Master suite with walk-in closet, private porch downstairs. Mother-in-law suite with private balcony upstairs and two more bedrooms! Relax on back porch by salt water pool with outdoor shower and 1/2 bath. This is your southern living dream home! 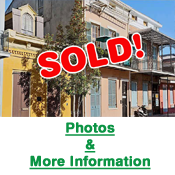 Here is your opportunity to own your own little piece of the historic French Quarter! Enjoy the cool breeze coming in through 3 sets of French doors, opening onto a private balcony, overlooking a landscaped petit courtyard. Walk to some of the best restaurants, sights and sounds the city has to offer! This peid-a-terre has a renovated kitchen with granite counter tops and SS appliances. Building has coin-op laundry. Low monthly condo fees. Enjoy this little slice of heaven! 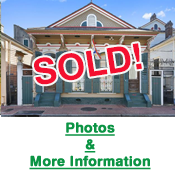 This IS your next project!...Adorable French Quarter cottage in need of some TLC. 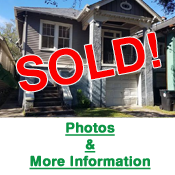 Update & renovate this 2 bedroom/2 shower bath, single family home to suit your taste. Good footprint, just needs a little lift. Great alternative to condo living and ownership in common. Price reflects condition. Seller will make no repairs. 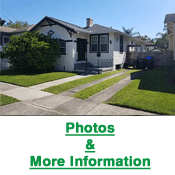 See property disclosure, survey and roof estimate attached to this listing. Approx. 3,754 square feet $595,000 LOCATION! LOCATION! LOCATION! 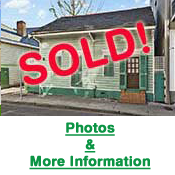 This is an opportunity to own a piece of history in the culturally rich Faubourg Treme! Renovate this building to your dreams or restore this Grande Dame to her former glory. 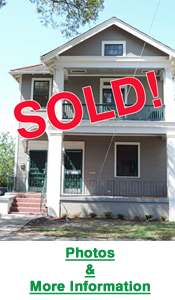 Close proximity to Armstrong Park, the Mississippi River, Downtown and the French Quarter. Listings can change daily. Please call for the latest information. prior sale, lease, or withdrawal without notice.